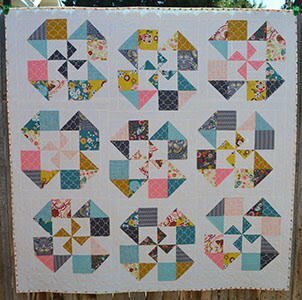 Playful Posies is a delightful quilt with plenty of movement and whimsical charm. And being Fat Quarter Friendly will help you to use up some of that Stash!! Come learn some basic building blocks while having a great time making up this happy flower block. And with increasing block size for each quilt, they are sure to go together fast, regardless of what size quilt you decide to make. So come sign up, we are going to have a great time!!! Pattern and/or Kit Fee: $5.00 for Pattern – Pattern will be available to purchase in class.